Town Center Park is a 3-acre park located on the west side of Collins Avenue. Formerly a 1-story shopping mall, this property was donated to the city by a developer. 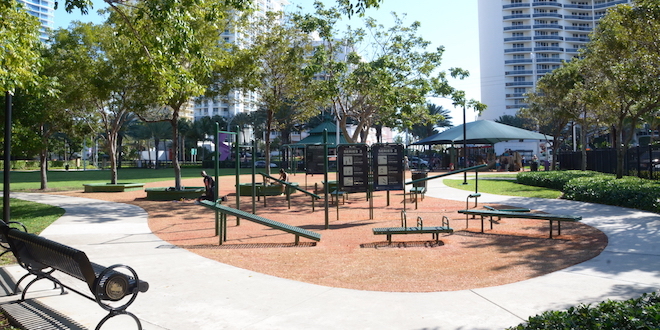 The Park includes a playground, fitness trail, and gazebo. Much of this property is state-protected wetland area. The gazebo at Town Center Park is available to rent for birthday parties and other special events. Please fill out the appropriate Permit Application along with the Hold Harmless Form and submit it to the Code Compliance and Licensing Department, located on the 3rd Floor of the SIB Government Center. The Skate Park is now located at Haulover Park, 10800 Collins Avenue.